Join host Doug Berger each month as he explores some of the fine eating establishments in the Toledo metro area for lunch. Looking for a fun time without a boring meeting, then Humanist Nooners is the place to be. Membership is open to all Humanists in substantial agreement with our principles. 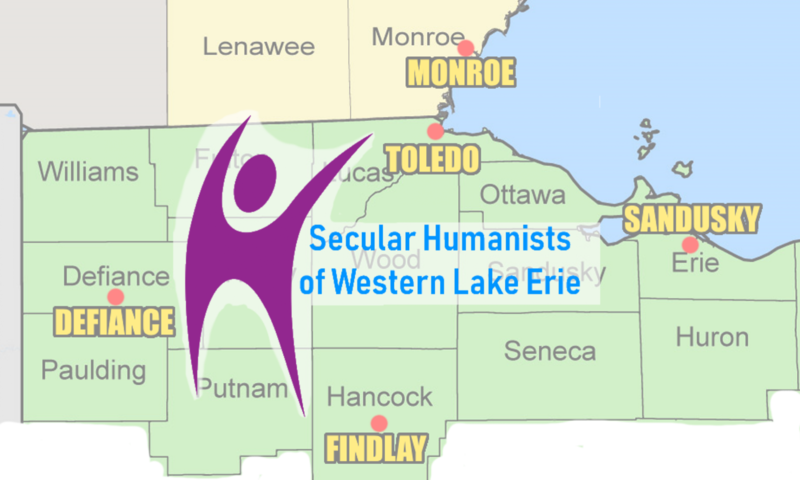 Secular Humanists of Western Lake Erie values people, emphasizes reason, and focuses on this world. Our purpose is educating the public about Humanism and building a Humanist community in Northwest Ohio and Southeast Michigan. We are a chapter of the American Humanist Association.